Ancient Egypt is one of the recurring themes in the online gaming industry. Queen of the Nile, Cleopatra’s Gold, Eye of Horus, and IGT’s classic Cleopatra slot . It served as an inspiration to IGT, a renowned software developer, to create the Sphinx Wild video slot that takes you to Egyptian desert with pyramids and palms making up the backdrop of the reels. Played at a 5×4 layout with 40 adjustable paylines, Sphinx Wild pays left to right. It benefits from so-called Surrounding Wild feature and four free spins options with multipliers going up to 5x. Set off on yet another adventure to Egypt to reveal hidden treasures with the Sphinx Wild slot! Multiple opportunities to win. Thanks to 40 paylines, you can create multiple winning combinations at once. Surrounding Wilds. An innovative feature triggered by Wild will help you complete more winning combos. Free spins. The game offers you to choose from four options based on your playing style. Those who like to take risks can choose the options with fewer free spins and higher multipliers. Hefty prizes. A top fixed jackpot stands at 1,000 coins, which means that you can win up to 40,000 coins in a single spin. During free spins, prizes can be higher thanks to multipliers going up to 5x. Medium volatility. Suitable for all kinds of players. Generic theme, symbols and sounds. 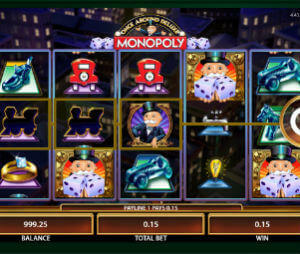 92.20% – 96.18% RTP: usual payout range for an IGT slot machine as they are usually pretty stingy. Online focused producers such as NetEnt, Rival, Thunderkick offer much looser slots. Despite not so inventive theme and appearance, the game offers features that are attractive enough to keep you engaged and help you win big. Wild pays the top prize and activates the Surrounding Wilds feature. Whenever it appears on the reels, it will expand to all adjacent positions provided its expansion will complete a winning combination. Landing 3 or more Scatters triggers the free spins feature. Depending on the number of triggering symbols you will be offered four options to choose from. Free spins come with multipliers, so if you choose the option with the biggest number of free spins you will play them at a 1x multiplier. 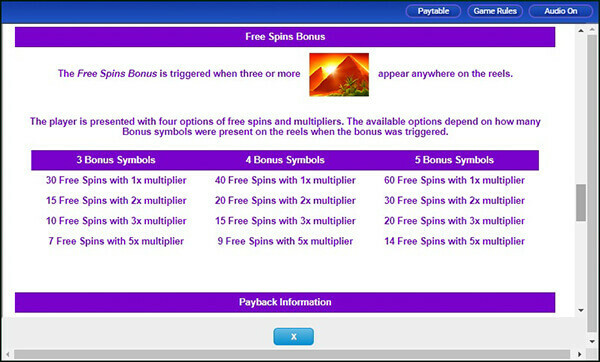 The higher multiplier the fewer free spins, so choose an option according to your preferences. We really loved the idea of Surrounding Wilds as they can help you complete multiple winning combinations at once. The free spins feature allows you to choose an option you like most and this is the main reason while the RTP of the game varies between 92.20% and 96.18%. If you don’t mind its generic theme, appearance and sounds, give the IGT a try for a chance to hit some big wins.